If your account includes more than one reporting group, you can choose the reporting group either from the Search Analytics Dashboard or from the dropdown menu in the upper left. 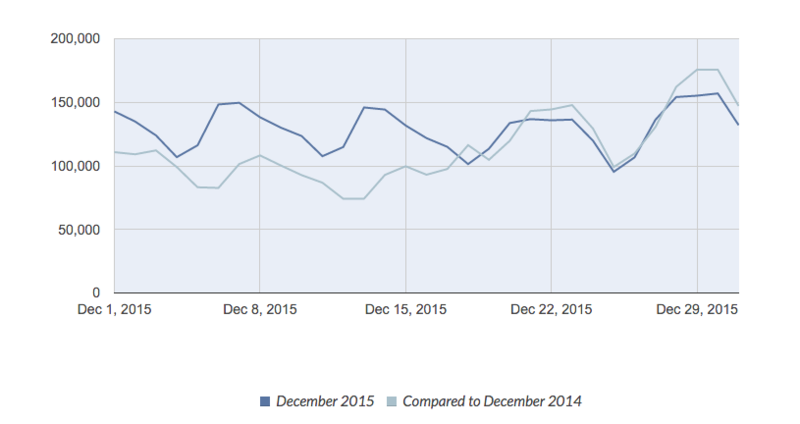 For the SEO Trends graphs, you can choose to group year-long data by day, week, or month. 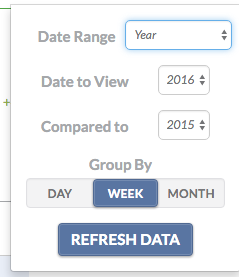 Week-long and month-long data is shown by day. 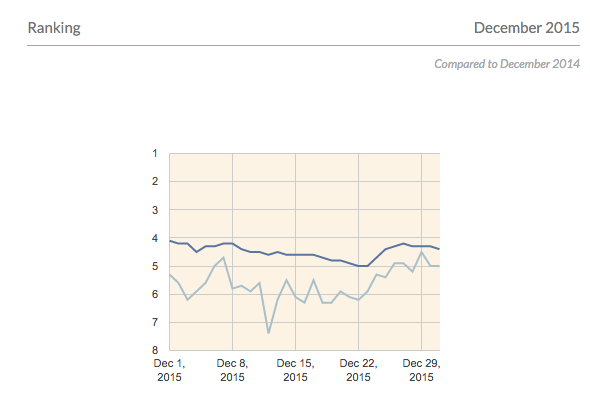 Most Keylime Toolbox reports show the change between the current period and a previous period. 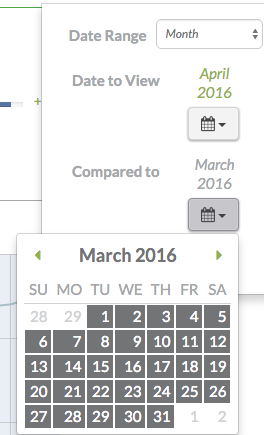 Once you’ve chosen the dates, Keylime Toolbox displays this information in the upper right of each report. You can compare two date ranges on the SEO Trends graphs. 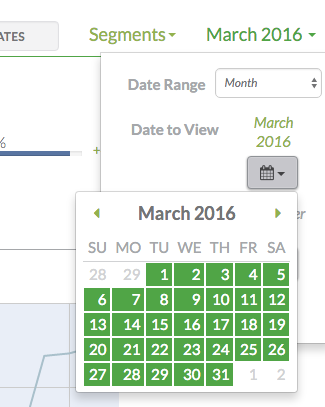 When comparing date ranges, you can compare only one segment at a time. Keylime Toolbox begins the comparison on the same day of the week, not the same day of the month (for instance, when comparing May 2014 to May 2013, the May 2014 begins on the 1st and the May 2013 range begins on the 2nd because both dates are a Thursday.